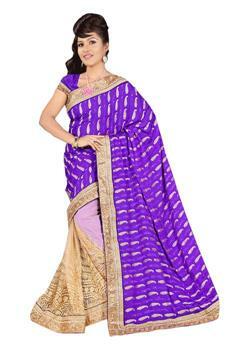 The sarees are always the most elegant attire for the woman’s. 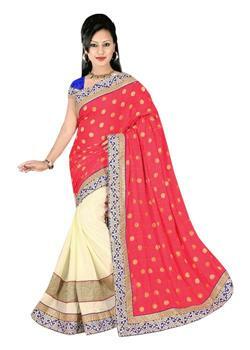 The light orange beautiful plain saree with resham, moti and stone work with decorative embroidery work. 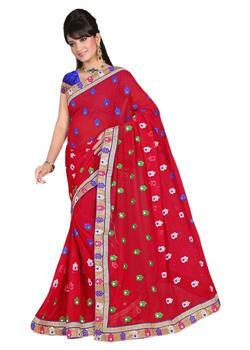 The whole saree enhanced with diamond motifs and attractive patches made from silver beeds. 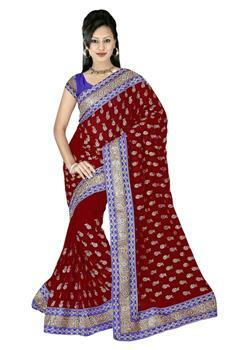 Similarly the embellished borders increase the glance of saree. It comes with matching unstitched blouse.